Wonderful Sunset Park family home walking distance to the shops, restaurants and cafes along Ocean Park Boulevard and located in Grant Elementary School district. A Master bedroom, full bath and walk-in closet were recently added to this home. There is also a separate guesthouse (not included in square footage) with a full bath. Big backyard with room for a pool, private patio area with pavers and a spa. Front yard is beautifully landscaped with drought tolerant plants. Long driveway for parking. 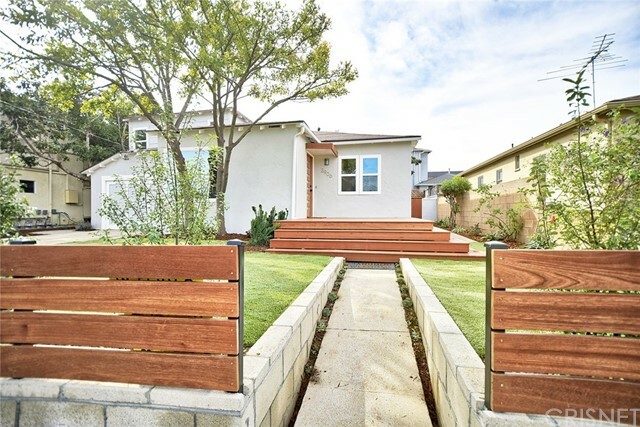 Enjoy Santa Monica's great lifestyle from this charming home. Based on information from California Regional Multiple Listing Service, Inc. as of 12/11/2018 7:27:07 AM PST and /or other sources. All data, including all measurements and calculations of area, is obtained from various sources and has not been, and will not be, verified by broker or MLS. All information should be independently reviewed and verified for accuracy. Properties may or may not be listed by the office/agent presenting the information.